You’ve been invited to attend an important business pitch, but it’s happening in an unfamiliar neighborhood. What’s the first thing you do to ensure that you get to the right place swiftly and reliably? Unless you have one of those infallible internal compasses, you likely consult some guide – a map, a GPS system, a mass transit schedule, or maybe a friend with a great sense of direction. Because, without the right information, you risk traveling in the wrong direction, becoming paralyzed by indecision, or worst, getting hopelessly lost and losing out on a great opportunity. In the social media sphere, navigational challenges abound for content marketers – new platforms to explore, new rules of engagement to learn, new creative pathways to pursue, and new roadblocks to avoid. How can you be sure which paths will lead to achieving your goals? You could wing it and hope for the best. But as someone who has spent plenty of time going in circles in search of a good shortcut (this speaks to both my dedication to content marketing efficiency and my poor sense of direction while driving), I’ve come to appreciate the value of reliable navigational tools whenever I’m faced with an uncertain journey. 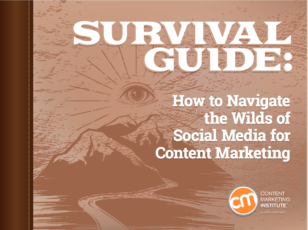 To pay that appreciation forward, I’ve worked with the CMI team to update one of our most popular e-books: The Content Marketing Survival Guide: How to Navigate the Wilds of Social Media. This new edition is full of the latest insights and advice to help you make better informed decisions about every content effort you create and share on social media – from mapping a viable social plan and making it actionable, to identifying the best channels and content formats to work with, to creating the kinds of conversations that will engage your target audience and earn their trust. Which social networks are best for driving brand awareness and other top-of-the-funnel content marketing goals? On which platforms can we enhance our content with rich-media features and functionalities? When should we monitor conversations rather than immediately contribute to them? Where is organic reach strong enough to meet our needs, and where are sponsored opportunities our best bet for reaching the right audiences? In the e-book, you’ll also find great advice on how to avoid dead ends and distractions that can waste your content team’s valuable time and budget, as well as major screw-ups that can cause lasting reputational damage to your business. For example, a few recent social media fails are excellent reminders of why you need to follow the rules of the social road so your efforts don’t crash and burn. 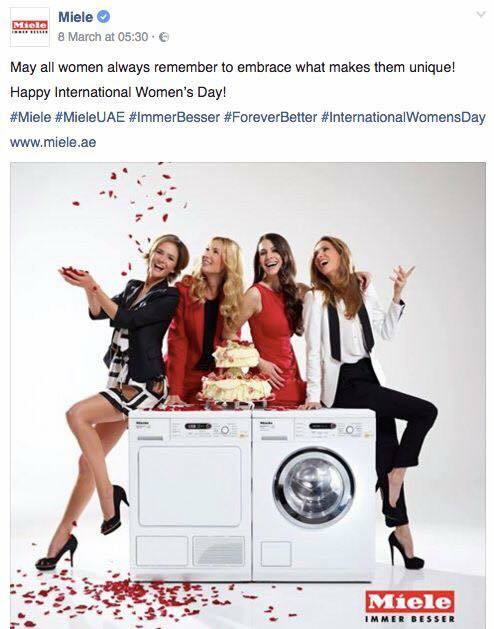 Appliance retailer Miele’s celebration of International Women’s Day indicates the brand had its heart in the right place. But it took a wrong turn with this Facebook post by placing modern, empowered women on top of a washing machine – an image that recalls outdated stereotypes of 1950s housewives. The inconsistency between the selected image and the spot’s intended purpose virtually guarantees women of the #MeToo era will consider this campaign to be a total washout. 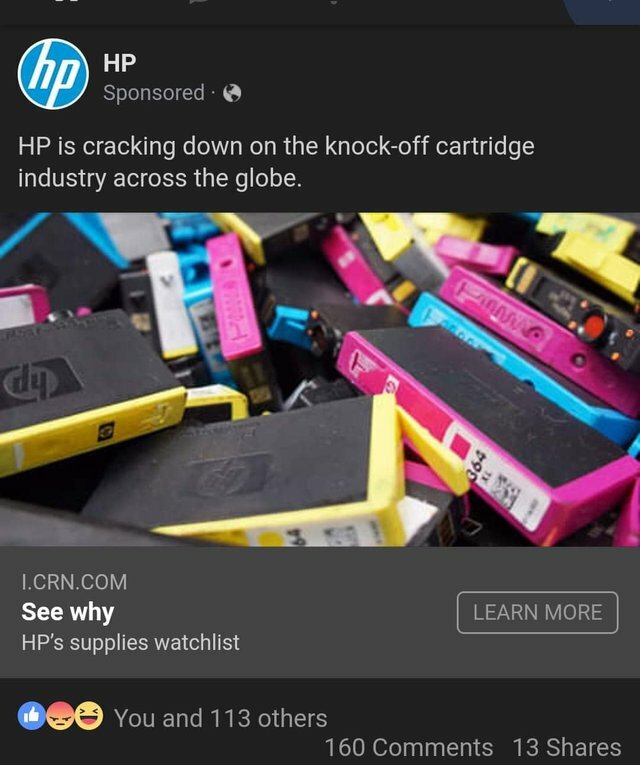 On the flip side of the consistency coin, HP’s decision to feature colorful ink cartridges in this post makes for an eye-catching picture. But the message is a turnoff as it focuses on an issue that may be a big concern for the brand but isn’t likely to garner too much interest – or sympathy – from the Instagram audience. Lastly, I challenge anyone to explain exactly how using generic stock photography furthers Citrix’s stated mission of “making decision-makers look good”? 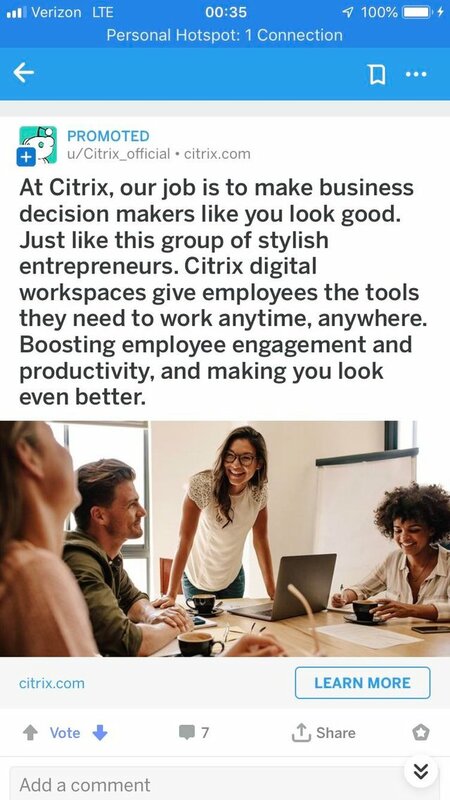 A better choice for this message would have been to feature actual employees in a Citrix workspace, which would have lent the effort more authenticity. Automation can be a lifesaver for content marketers who want to respond to customers’ social media inquiries in as timely a manner as possible. But artificial intelligence isn’t always the smartest solution – especially when unanticipated situations arise. 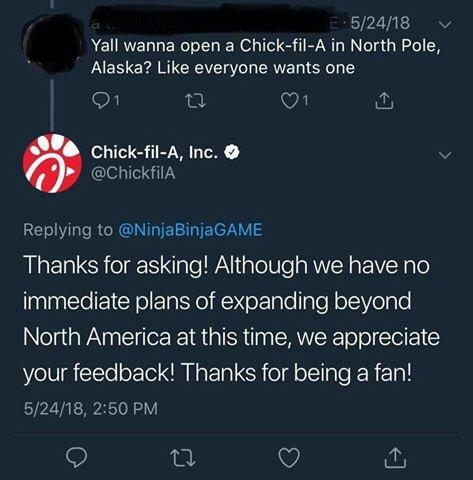 For example, Chick-Fil-A might want to tap its brakes on using likely automated responses triggered by keywords on Twitter, considering it led to an embarrassing denial of Alaska’s existence in North America. There are times when it makes sense to court a little controversy in your social media posts. 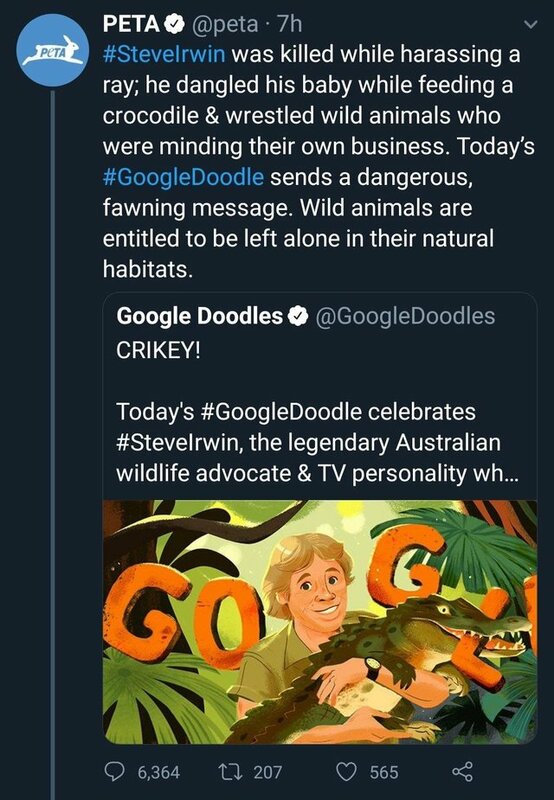 And there are times when over-the-top animal rights group PETA used a celebratory Google Doodle as an excuse to drag beloved wildlife advocate Steve Irwin’s name through the gator-filled mud on his birthday. Crikey! No matter where your business is, sharing your content on social media thrusts it onto a global stage – something Pop-Tarts clearly didn’t consider when creating this Twitter post. To begin with, it’s a cheeky spot, which doesn’t seem like the best tone for a family-friendly breakfast brand. 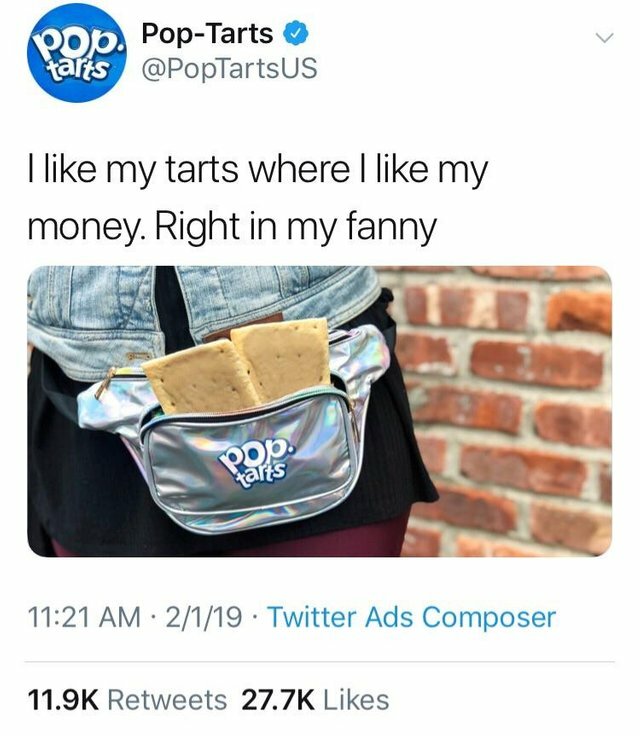 But Pop-Tarts overlooked the fact that “fanny” is a vulgar term and not brand-friendly in the United Kingdom. The brand crossed the line between a questionably glib attempt at humor and a total PR toaster fire. HANDPICKED RELATED CONTENT: Social Media: Is Your Content All Rhetoric? 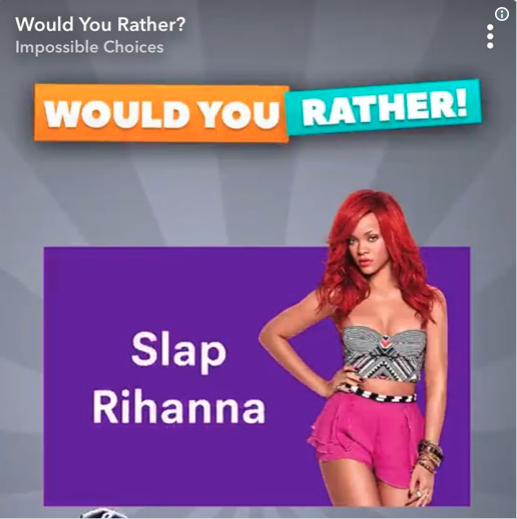 Snapchat let this campaign go off the rails by approving and publishing an ad for a game called “Would You Rather.” It asked users to choose between slapping multitalented performer Rihanna and punching Chris Brown – an artist who had been accused of domestic violence when the two were dating. Though Snapchat quickly apologized for this “oversight,” there’s nothing funny about inviting your community to commit virtual assault. If you use humor in your social spots, take care to ensure that the joke doesn’t end up being at your brand’s expense. Download How to Navigate the Wilds of Social Media for more tips to improve your social-sharing strategies and drive higher engagement rates for your content efforts (you can also view it below). If you find it to be a helpful map for success, we’d love it if you would share it with your friends through your social media channels. Take your content marketing education further. Enroll today in Content Marketing University’s spring semester.